11th October 2018 / by Lucia Y. If you haven’t been following our updates, you’ve been missing out on tons of great features and upgrades! Zangi’s latest update, iOS 4.4.4 is here and it’s full of new improvements. The best part is that that Zangi Safe Messenger supports iOS 12 software update. If you’ve already updated to iOS 12 and are happy with your experience, then updating Zangi will easily eliminate any issues that may come up with the new functionality. Experience the smoother, faster and new feature-full iOS 12 and use get an overall performance upgrade with Zangi. 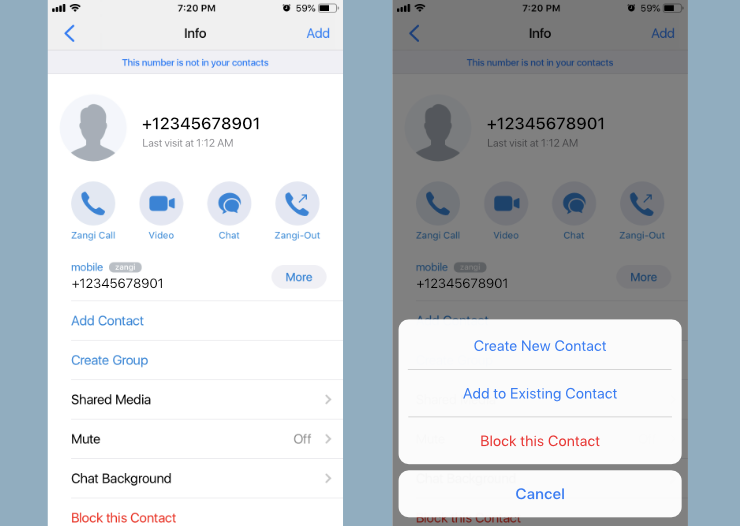 Included in Zangi’s iOS 4.4.4 update is the addition of German, Thai and Ukranian languages, a made-easy “add to contacts” label improvement and other performance enhancements and bug fixes. When the contacted person’s phone number is not in the list of contacts you will see a special label “This number is not in your contacts” inside the contact’s “Info” screen. Just tap that panel with the label to add that phone number in your contacts or to block that phone number. How to update Zangi: You can easily update Zangi from your phone’s applications store. Search for Zangi in the App Store app and tap Update. It’s encouraged to always use the latest available version of Zangi for the newest features and bug fixes. 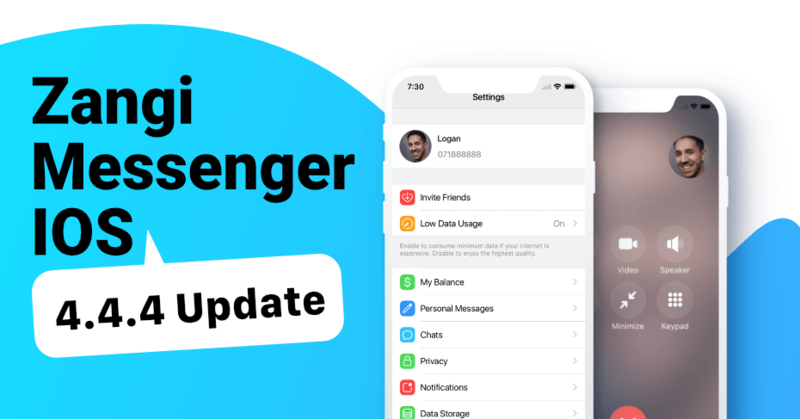 Update now because Zangi Messenger supports iOS 12 and more. New Features You Might Have Missed! Once you open a chat and bring your phone to your ear, Zangi automatically starts recording your voice message. The recording stops when you put your phone down. Messed up the recording? Before sending the voice message, it’s possible to listen to the recording or delete it completely. Friend asking for someone’s number? Easily send their contact (name+number) and you can even edit the name of the contact before sending it. Yeah, no more awkward situations. We have made it possible to search by contact and date in group chats and by date in one-to-one chats. This makes it easier to find a specific message sent on a specific day. By creating new walls of security, Zangi is the safest messenger there is right now. All messages are encrypted by default and user communication history is never stored on any servers, not even on Zangi’s servers. No third parties, not even the police or hackers can have access to user’s info. The messenger app is also decentralized, which means data is not stored on the cloud. Zangi users’ personal data and communication history is completely safe. Hence our name: Zangi Safe Messenger. Update Zangi iOS 4.4.4 for Messenger supports iOS 12. Zangi Latest iOS Update: What’s New?